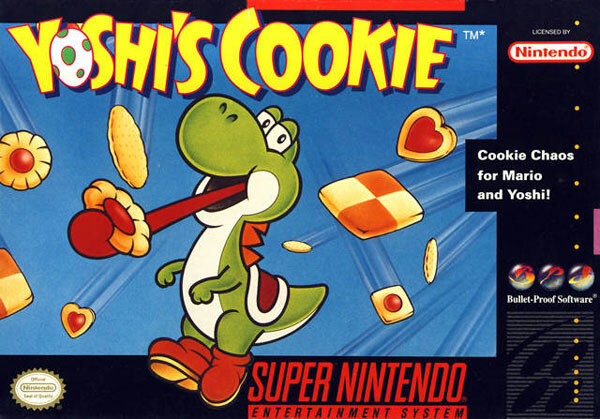 Yoshi's Cookie for Super Nintendo has you arrange the matching cookies horizontally or vertically to eliminate them from the jar. When all of the cookies are gone, you move on to the next level, which is a little more difficult. If the jar starts to overflow, the game is over. After you make it through all 100 levels, you can challenge a friend to a game. For 1-2 players.